Rick and Ellen Rogers are on a mission -- to get the truth about their daughter Shawna Rogers' death. She was a lieutenant in the Canadian military. Their fight for answers could change the way the Canadian military investigates soldiers' deaths. Shawna Rogers was a 27-year-old Lieutenant in the Canadian Armed Forces when she took her own life with a mix of prescribed and street drugs. The delayed consequences of an injury sustained in training saw her treated with painkillers that became addictive. When her parents went looking for answers, they were met with official obstinacy. Today, we bring you the story of the family quest that could end up changing the way the military investigates a soldier's death. Rick Rogers is on a mission to get to the truth about his daughter's death. 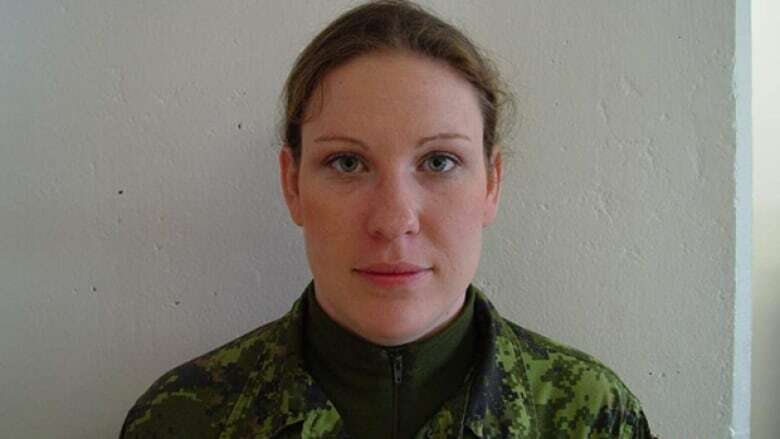 Shawna Rogers was a Lieutenant in the Canadian military, a career-minded soldier on the rise. In October of 2012 she was found dead from a drug overdose - alone in her apartment in Edmonton. She was 27 years old. The documentary "A Question for The Military" is by The Current's Gord Westmacott and the CBC's Steve Wadhams. Gord requested a comment from the Canadian Armed Forces about Shawna Rogers' case and how Boards of Inquiry are handled. No one was made available to speak on those issues. National Defence and the Canadian Armed Forces did send a statement giving an overview of how Boards of Inquiry work and answers to frequently asked questions about them.